First of all, I would like to remind you how important it is to have good oral health. Having a clean mouth and crystal white teeth makes everything better, because it can improve your confidence, your looks and more. 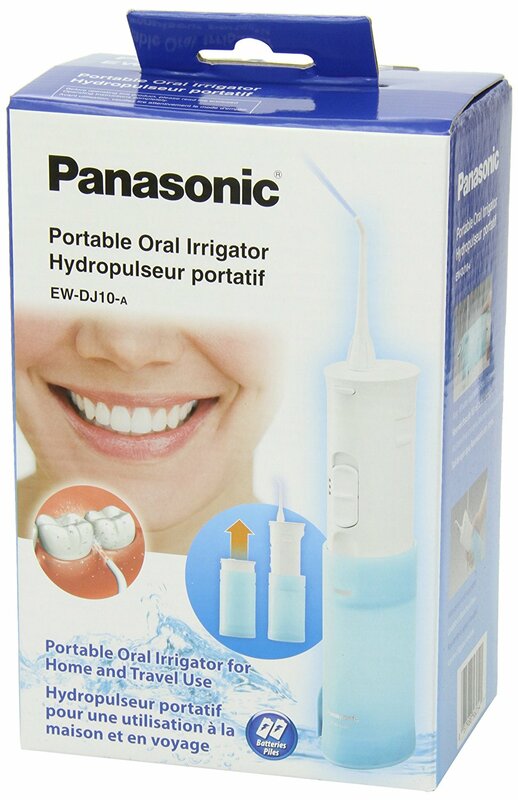 This can be done by flossing, and one of the best flossers in the market today is the Panasonic EW-DJ10-A. The EW-DJ10 has a lot of features which make it that good. What I liked the most about it is that it can be collapsed to fit in your bags, so if you are someone that likes to travel a lot, you can always take it with you and you won’t even notice that you have it because it doesn’t occupy much space in your bags. 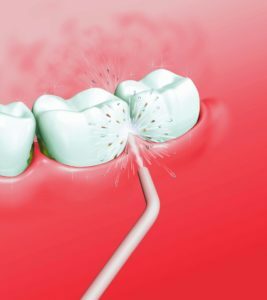 If you’ve never had a flosser before, this product will be a great choice for you because it’s straightforward and very simple to use. All you have to do is open the water reservoir and fill it with water, choose the speed/pressure settings and you’re good to go! 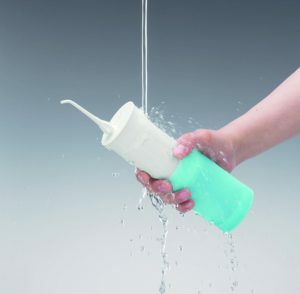 This product can be used by everyone, both children and old people because it has 2 speed/pressure settings you can choose from to fit the needs of the user. If you are buying it for your children, just select the number 1 mode (1,000 PPM) and it will clean in a slower and softer way. This mode is suggested because children have sensitive gums and using the high speed pulse may damage the gums. Low-speed settings are also suggested for individuals that wear braces, bridges, have implants etc. On the other hand, we have the 1,400 PPM high-speed pulse cleaning mode which can be used by people with healthy teeth and gums. The flossing process and effect is the same in both modes, it’s just the speed and pressure that is different. The Panasonic EW-DJ10-A is definitely better than its competitors for flossing. As I mentioned above, it is very powerful, and that allows it to clean deep between teeth to get rid of any unwanted substances that might have gotten stuck in there. It will get rid of almost all bacteria and plaque if used correctly. It’s cordless, and it is powered by 2 AA batteries. Unfortunately, when you purchase the product, batteries are not included, so you have to purchase them separately. It would have been much better if it had a built-in rechargeable battery which can be charged with an USB cable, but unfortunately it does not have that feature. The only thing that we didn’t like about it is that the water gets wasted too quickly when using it on the high-speed mode. The 5.5oz tank gets empty too quickly, so if you are someone that is slower on brushing/flossing your teeth, you will need to re-fill it at least twice before finishing with the flossing process. Overall it’s a great product, and it has everything you would want from a flosser. 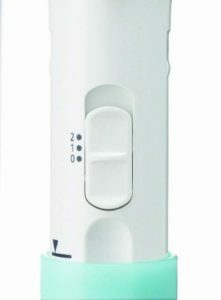 You can take it with you anywhere you want, it’s extremely easy to use and it can be used even by people that have dental problems such as gum swelling etc. Panasonic is a very reputable brand, so when you purchase from them, you can be sure to receive quality and satisfaction. But, if you want to expand your horizons, have a look at the ToiletTree Water Irrigator. There are things I loved about this flosser compared to Waterpik. The size is ideal for traveling and small bathroom countertops. I also loved that it used regular batteries as the Waterpik failed within the warranty period and the replacement died not long afterward, both because the rechargeable batteries died with no warning. That said I will be throwing my Panasonic away today and replacing it with another brand as it is nearly impossible to get all the water out of the unit and, in Florida humidity, they get moldy because of the design flaw. I tried vinegar to clean but because of the tight fit, push-pull open/close mechanics of this unit, there is no way to clean it successfully. I just bought one for a trip. I can see Leanne’s point about not being able to completely dry it. I ran a bit of vodka through mine after my trip to sanitize it and my climate is relatively dry so it should dry it out. I love that I can use it in the hotel shower when I’m away from my home’s showerhead-mounted ShowerBreeze (reviewed elsewhere on the site). It puts out a hammering pulse that was great for my new braces.